This 297-unit apartment complex was built in 2012. The standard rent range is $802 to $1,452 depending on the unit and floor plan selected. A 1 year lease is the minimum lease length. All of the units feature a long list of perks and amenities, regardless of the floorplan selected. 2 pets are allowed per unit. The units feature trash chutes, fireplaces, large closets, linen closets, and high speed internet access. Every unit also has a patio and balcony along with 9-10 foot ceilings. The kitchens and bathrooms are also full of amenities. All kitchens and bathrooms feature tile floors and granite counters. The bathrooms all have garden tubs. Kitchens come with pantries, and in some units, islands. All of the kitchens also have ovens, microwaves, double stainless steel sinks, and stainless steel refrigerators. The complex takes security seriously and features controlled access to the building and grounds. Parking is plentiful, with a parking garage with elevator access, covered parking, and attached/detached garages. Those tenants who have business needs have full access to the business center, which features Apple computers, copier, fax machine, printer, and a conference room. Entertainment features at the complex include a clubroom, media room, picnic areas, and access to a running trail. A swimming pool is also available to all tenants. 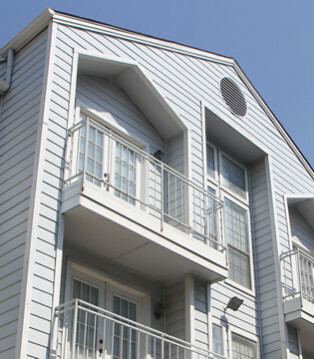 This apartment building is part of the Carrollton-Farmers Branch school district. Young children will attend Carrollton Elementary. Middle school students will attend Perry, while older students will be attending New Smith High School. This complex is located in a great area for people of all ages. This area features a large number of shopping options at The Galleria, NorthPark Mall, and Downtown Carrollton Square. Food enthusiasts will have many choices to select from, including Amici Signature Italian, Sid’s Rainbow Grill, Agave Azul, and the Broadway Bistro Cafe There are a lot of entertainment options as well. People looking for more physical activity can enjoy the Indian Creek Golf Club, Oak Creek Tennis Center, or Exposure Indoor Rock Climbing. Residents looking for a more relaxed time can visit the Elm Fork Nature Preserve, the Rosemeade Rainforest Aquatic Complex, or the A.W. Perry Homestead Museum. There is something for everyone in this area.